Seek for a method to clean your iOS devices' private data and junk files in order to enlarge the memory space, optimize iOS and guarantee the privacy security of your iPad, iPhone and iPod? iOS Cleaner is your best and ideal choice. 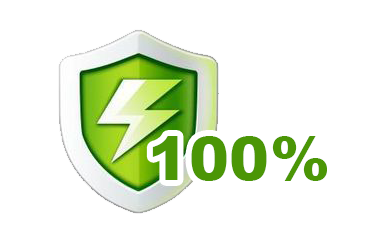 Enjoy complete and 100% secure iOS cleaning way. Supports to remove 30+ types of junk files from iDevices. Provides reliable and considerate privacy caring service. Free up space and optimize iOS devices' performance. 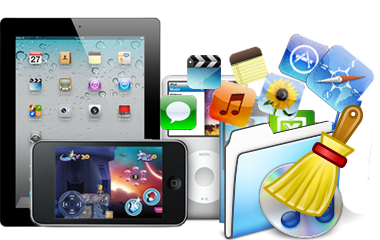 We all know that cleaning isn't an interesting for any iDevice user but there are so many junk files such as app caches, cookies, temp files and more laying around the iPad, iPhone and iPod memory that slow down the iOS device's performance. 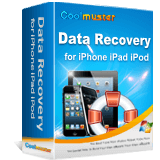 Coolmuster iOS Cleaner is right here to help you clean junk files and private data from all types of iOS devices. What can be erased from the iOS Cleaner? Junk Files includes app caches, app cookies, app temp files, app crash logs, downloaded temp files, photo caches, user storage files, iTunes radio history, etc. Private Data includes call history, browsing history, Safari cookies, Safari history, Safari caches, iOS notifications, app orphaned files, etc. We know that after using electronic products for a long time, the performance and running speed of it will keep getting worse. That's the way Coolmuster iOS Cleaner comes in. With a set of powerful features, this reliable software will be able to improve your iPad, iPhone and iPod's performance and make them run like new. 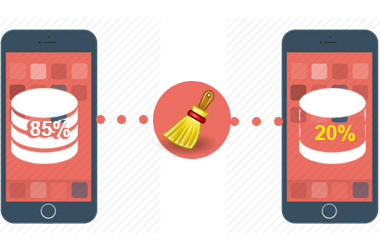 You can enjoy all-around and risk-free iOS data cleaning ability by using this iOS Cleaner. With the help of it, you can delete 30+ types of junk files and private data from iPhone, iPad and iPod with just 1 click. Efficiently protect your privacy from prying eyes. The main reason that cause your iOS devices run slowly is that there are increasing cache and temp files stored on your iOS device. Since iOS Cleaner is produced to clean your iPad, iPhone and iPod's memory and erase all these junk and useless files permanently, it will keep your iDevices always run fast. 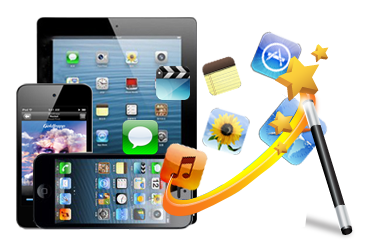 Whenever you found your iOS device is running out of space, you can depend on this iOS cleaning software to reclaim up almost 40% storage space of your iPad, iPhone and iPod so that you can get more new files imported to your device. Have a bunch of useless messages, duplicated contacts, private information, long-forgotten notes and Safari bookmarks on your iDevice? Just let iOS Cleaner get rid of them with simple 1 click. It will scan deeply on your iPad, iPhone and iPod, and display all scanned out files clearly for your choice. Just set off your device with a fresh start. 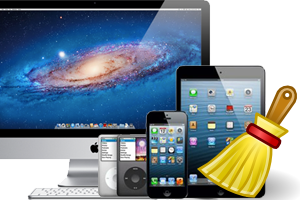 As the most marvelous and innovative iOS cleaning tool, all iOS devices can be supported by it, including iPhone X/8/8 Plus/7/7 Plus/6/6 Plus/5S/5C/5/4S/4/3GS, iPad Pro/Air/mini/4/3/2/1 and iPod touch/Shuffle/Nano/Classic. 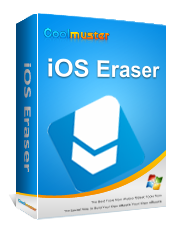 Coolmuster iOS Eraser is a safe and effective solution to wipe the data on your iPhone, iPad and iPod permanently so that you can get your iDevices to a clean slate.